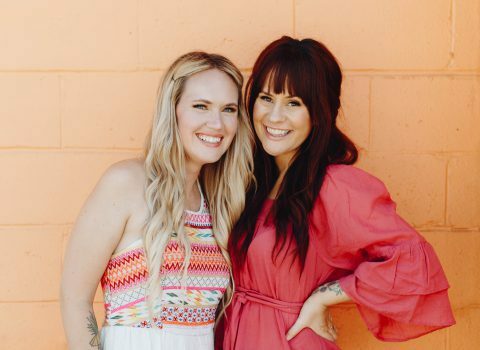 Let me preface this post by saying aging is a natural process and nothing to be ashamed of! We shouldn’t be afraid of it, but why would we want to speed it up? There’s a nugget that used to float around when I worked for Sephora: For every night you don’t remove your makeup before bed, it ages your skin by seven days. I’ve looked into this little factoid, and while there are no studies I’ve found to back up the “seven days” claim, there is plenty of evidence that not taking off your makeup pre-slumber is a detriment to your skin. Makeup acts like a blanket over your pores, and that blanket makes it hard for your skin to get oxygen, which slows down the process of cell turnover. Cell turnover is when new skin cells make their way up to the surface of your skin and replace older cells. As you can imagine, newer skin cells are healthier and they look healthier, too! By washing away dirt and debris, makeup, and other undesirables from our skin, we’ve given it the best chance to renew itself efficiently. 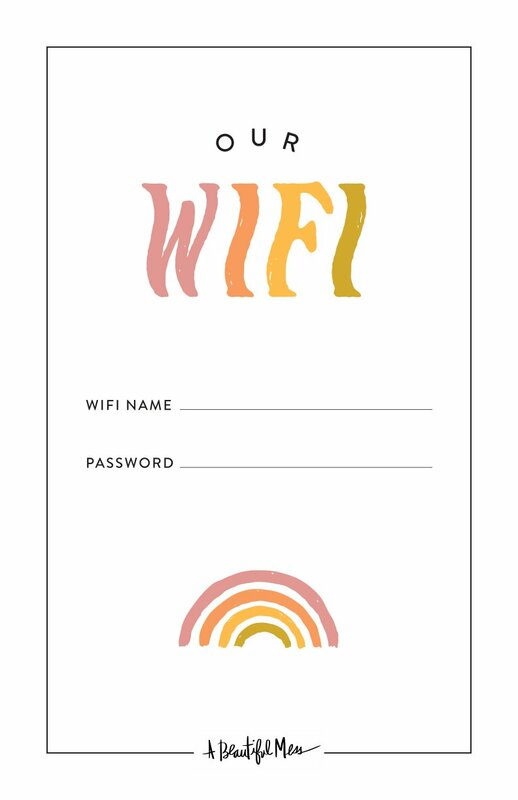 If you’re someone who has a hard time remembering to cleanse (and can’t get out of bed once you’re there! ), I recommend keeping some micellar water or skincare wipes at your bedside. 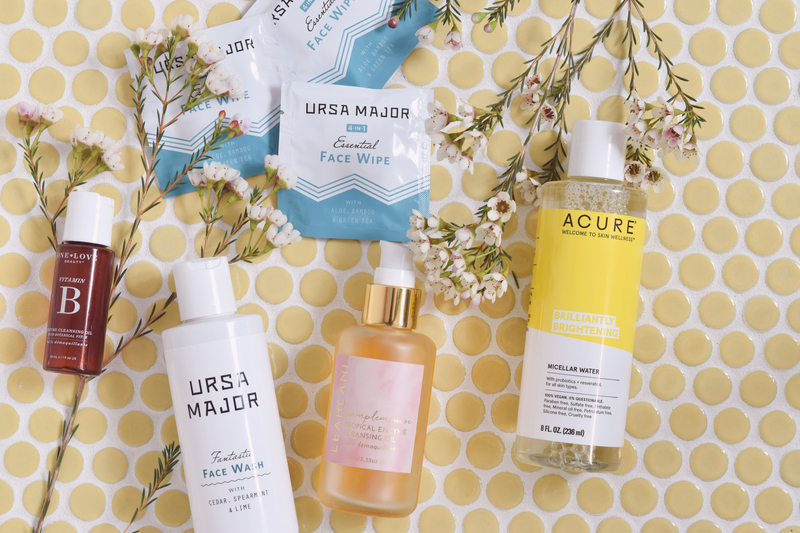 We love these wipes from Ursa Major and these from Kaia Naturals because they don’t dry our skin out at all. 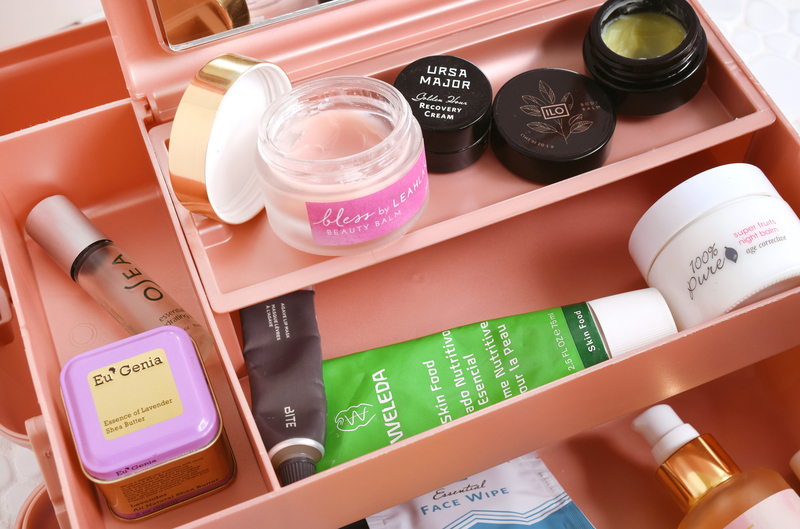 Even though a cleanse with warm water is the creme de la creme to begin a PM skincare regimen, getting that makeup and top layer of grime off is better than nothing! Our skin works hard to heal itself and generate new cells overnight, so I like to try and give mine some extra boosts where I can. Ultra nourishing/rich products are perfect for nighttime because they’re packed with lots of nutrients, imparting extra goodness into the skin while helping it do its job. If you have products that make your skin feel great but they leave you feeling a little too “dewy” (some others may say greasy, haha) while they soak in during in the daytime, letting them work through their process overnight is probably their perfect fit. I typically do a balm (like this one from Leahlani or ILO’s signature formula, which is billed as a body balm but it’s great for the face) or an oil overnight, and if I’m especially dry I’ll go ahead and use both. 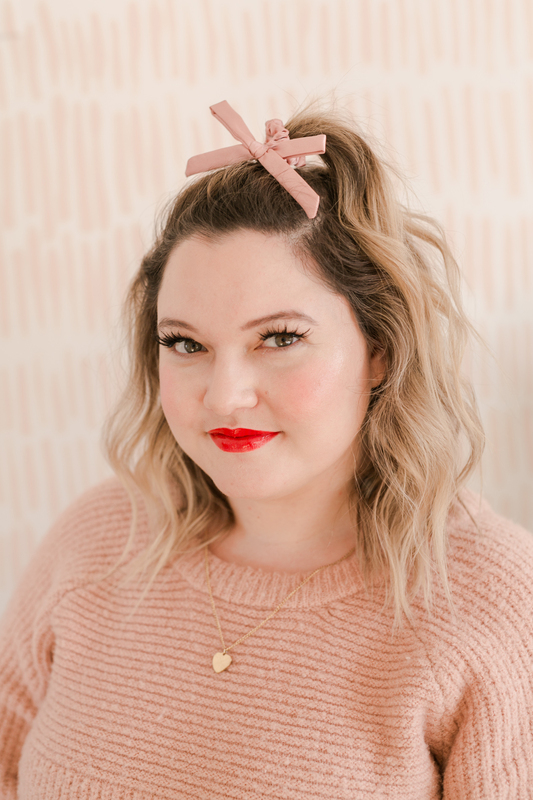 Remember that not just your facial skin is working to repair itself overnight—I always use this lip mask from Bite Beauty and the Eu’Genia Shea tin is my go-to for the décolletage. Great for skin and hair, satin pillowcases are a quick and easy way to upgrade your nightly routine. Cotton can absorb skin’s natural oils (oils that you want to stick around for skin health) and can create deep creases in your skin, leading to premature wrinkles. Satin helps keep your skin hydrated and on a smooth and soft surface through the night—eight hours is a long time for your face to be on a pillow! Satin options also reduce breakage and frizz in hair when compared to their cotton counterparts. We love Slip as a nice gift or a more long-term investment, and Amazon has some great budget options. The key to a satin pillowcase: change it at least once a week! 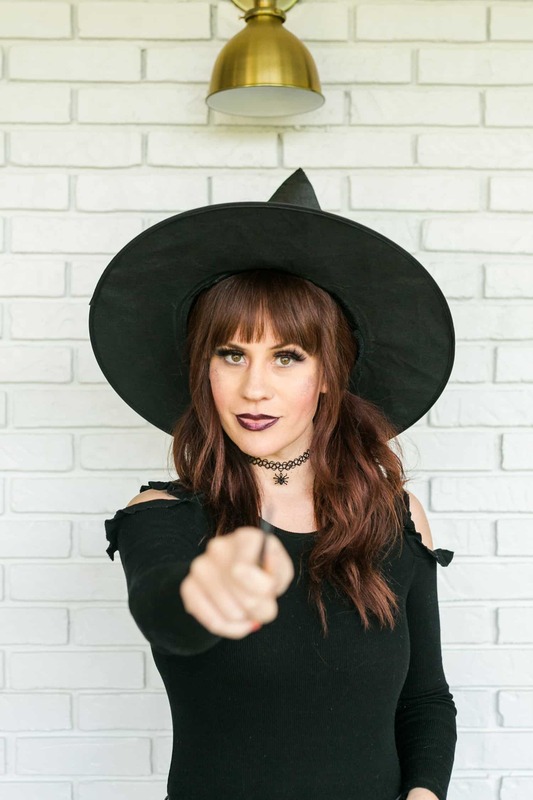 It won’t do much good if there are built up skincare products and dead skin cells (ew, I know, but it’s the truth) against your skin all night! Humidifiers can be amazing for the hydration of your skin, especially in the winter time if you’re in a chillier climate and are heating your home. Moisture on our skin is just like any other type—when the atmosphere is dry enough, that source of moisture will evaporate. If our skin is constantly in a dry environment, you can see how it would be hard to maintain hydration. 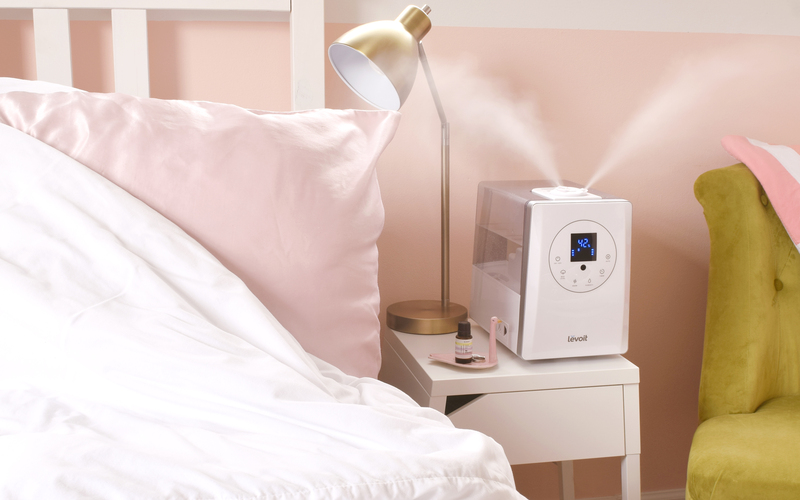 A humidifier in your bedroom is an amazing source of hydration—it doesn’t matter if you use cool or warm mist, you should notice a difference pretty quickly if you’ve been struggling with dehydrated, dull, and flaky skin (don’t forget to drink lots of fluids, too!). 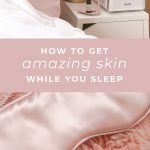 With all our skin does for us while we sleep, it’s important to give it time to work its magic! As I’m sure you know, getting ample sleep is imperative to your entire body functioning at its best. While life sometimes has other plans like kiddos and pets that need attention in the middle of the night or noisy neighbors, there are a few easy things that can help you drift off quickly and get good quality sleep. Using a satin sleep mask or eye pillow can help block out light. A waves or rain noise-maker app (there are some good free ones in the App Store) can help drown out ambient noise and give you something to focus on as you drift off. 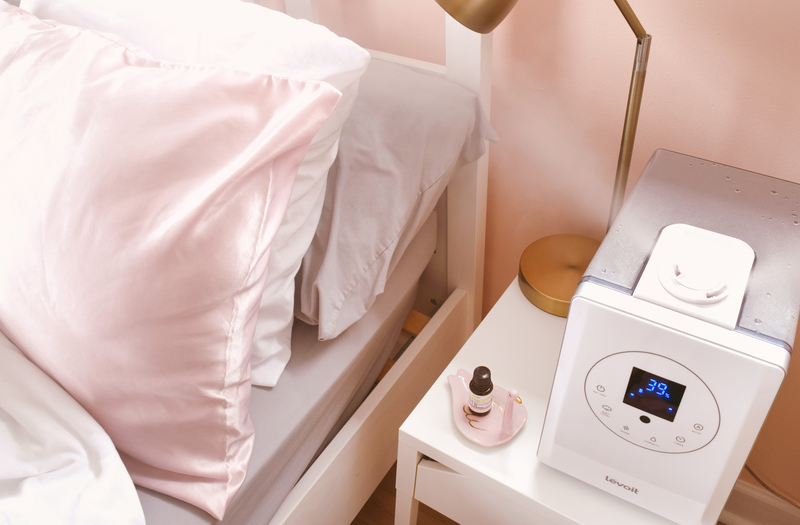 Diffusing a soothing oil can help send a signal to your mind that it’s time to sleep. 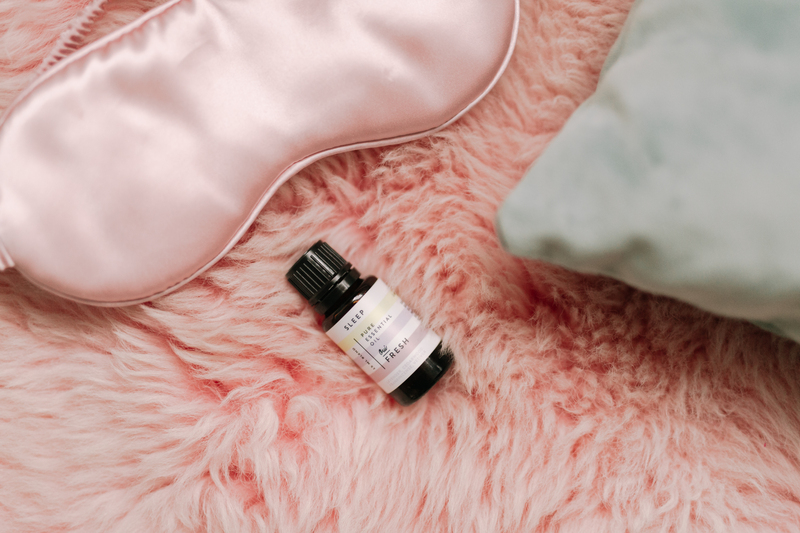 We put a ton of thought into the Oui Fresh sleep blend to get it just right—it’s really soft and gentle and it’s a “background” sensory aid instead of a scent that hits you over the head and keeps you awake. I’ve had sleep blends with orange in them before and they never work for me because that smell wakes me right up! I love taking a shot of tart cherry juice before bed—it’s packed with antioxidants and is a natural source of melatonin, a sleep-regulating hormone. Credits//Author: Keely Rust. Photography: Amber Ulmer. Photos edited with A Color Story Desktop. Thank you for these tips! I still can’t believe there are people who don’t cleanse their face before going to bed. I can’t stand snuggling up feeling dirty and oily! These are all such great tips! I had no idea tart cherry juice is good for sleep, so I’ll defintely be adding that to my routine. I’m also going to look into investing into a humidifier for sure. Just added the lip mask to my wish list! I love that I don’t need to look up the ingredients to see if they’re “clean” or not because I trust what you recommend! Another tip is if you have dry skin, exfoliate and apply rosehip oil all over your face! It helps a lot by the morning! Do you recommend a certain brand of cherry juice? Or where do you purchase yours? Great tips! I am planning on investing in a satin pillowcase especially because of my hair problems but I am sure my skin will benefit too. Interesting point about the cherry juice, I have to try that! I need to try that silk pillow case! A humidifier truly works wonders. I have noticed such a difference in my skin ever since I purchased one. Great post! Thanks for sharing this. This is really awasome which is helpful for almost all of those who want to make their skin more attractive for us..!